With just three stands remaining in the BPA’s UK Pavilion at ABC Kids Expo in Las Vegas in October, companies looking to increase exporting opportunities have just one week to go until the booking deadline. Simon Anslow, UK Pavilion Las Vegas organiser, comments: “The ABC show offers an unparalleled platform for British companies to pitch their products to buyers from North and South America, Canada, Asia and Australasia. 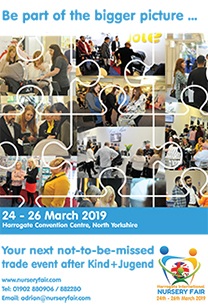 Last year, the show boasted over 10,000 participants from more than 66 countries with 30% of buyers travelling from Canada and a significant proportion from Mexico, Brazil, Guatemala, Columbia, Chile or Puerto Rico. Companies such as Silver Cross and Trunki are already on board with the UK Pavilion, which thanks to UKTi enhanced activity funding will boast eye-catching British Branding and a proactive marketing campaign. In addition all companies participating in the BPA’s UK Pavilion in Las Vegas this year will be entitled to UKTi individual grants of £2,000, which together with the fact that hotel accommodation is relatively inexpensive in Las Vegas, makes exhibiting at the show even more attractive. 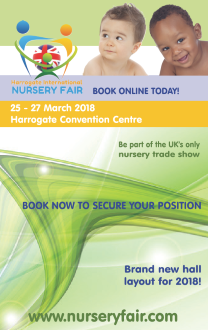 The deadline to book space is Wednesday 31st July – so contact Simon on 01902 882280 or email: simon@nurseryfair.com as soon as possible to avoid disappointment.